So, here we are 12 months later. In February 2018, I spoke with bunch of crypto-savvy guys from around the world, but mainly in the US, and asked them to join me in forming the XOV project. ‘…but what is it?’ I explained to them that we needed to follow our own path and not follow the rest of the pack. Everyone was doing ICOs and raising a ton of Ethereum and nobody ever stopped to think what the consequences were if they ran off with their money or never delivered…and many did just that. 2018 provided XOV with the time to watch and learn. We were at times accused of going too slow, or we were ‘going to miss the boat’ because the pace of projects elsewhere was hectic — but we kept our nerve and plodded on. Planning and observing are highly underrated skills in this industry, but have enabled the XOV project to deliver an agenda of our own choosing in 2019. We didn’t miss the boat….if we did then the ship is coming. At XOV, our team are not conditioned to think about today, or even tomorrow, but to think about the next 10 or 20 years. Blockchain technology is so young right now, that nobody has really explored its full potential, as was the case with the early computers. One constant battle we had with our community was to instil a sense of building or constructing. This was not their fault. Virtually every coin and token is guilty of being a speculative instrument by which traders profit from other trader’s vulnerabilities. Cryptocurrency by all intents and purposes is being used to trade with, rather than being used as a benchmark of value. Value is derived by what is being built behind it, and this correlation is difficult to prove. XOV has always maintained that price and value should be correlated for our project. We are simply laying foundations in our 25 year business plan in 2019 in readiness for the skyscrapers we are building for the future. Any fluctuations in price are short term trades. Look at the price of Apple stock 20 years ago and the price today- how many traders got burnt by selling their stock too early? Taking a long term view on a project is usually linked to culture. Some nations are better than others in investing for long periods of time, whereas, others see stocks as disposable. So…we spent months planning with academics and fine tuning the XOV business plan. What people see today is a young project with their own decentralised trading platform. It was a priority for us to deliver a product. The naysayers will say ‘so what’. They would be right on face value, however, they underestimate the ambition of the project. Looking closely at the project, it usually does what it promises and meets the deliverables on its roadmap. XOV not wanting to make annoucements about announcements to keep unsustainable investor sentiment high is proud to work in the background on new deals and partnerships, so that in the future, an announcement has meaning and is confirmed. That’s our culture. Last year our community asked for more exposure. We delivered them Forbes and a CryptoWendy interview. Last year, our community asked for more exchanges, we are delivering those this year. We also promise to deliver on the other planned roadmap items including decentralised payments and banking and more. Expect to see 50+ coins on our platform this year, a new KYC process, loans and other assets, and new business divisions. Everything we do here is about innovation and scalable. We are not interested in small scale, but large scale. Remember…long term long term long term long term long term long term. 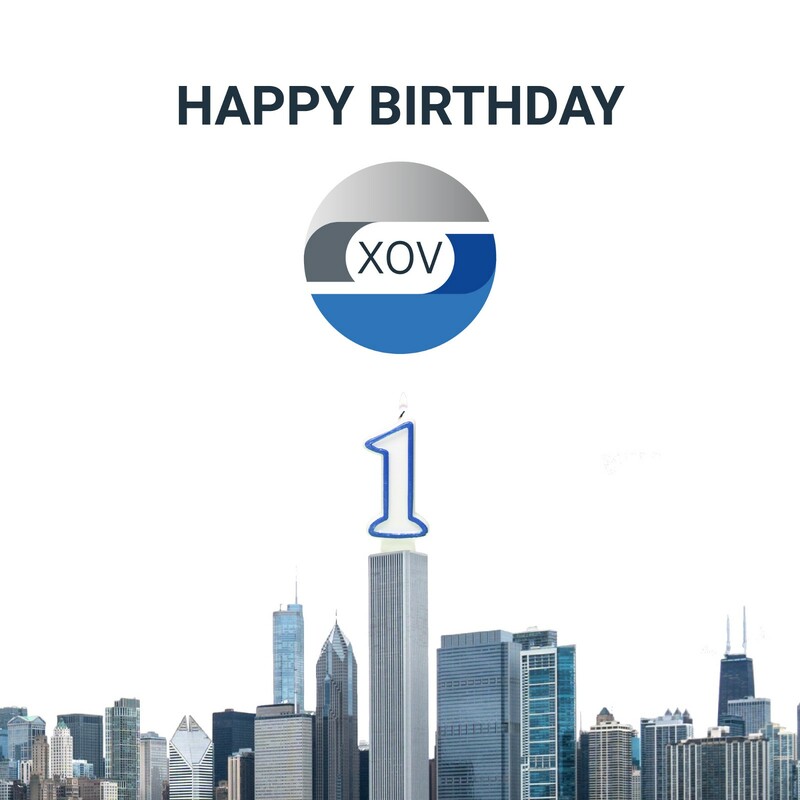 What motivates the XOV team is a sense of pride and satisfaction in being around for many years to come, building something that is going to be sustainable for the future, inviting the world to participate in it and watching others falter due to their short term culture. Making a quick buck is easy, but building a machine that issues the buck is much more exciting and difficult. So, here’s to our first year and to the next 25 or so.